Besides donations of food, please keep in mind that we are spending more funds than usual to make up for the decrease in government supplies and increase in clients. Therefore, monetary donations are always greatly appreciated and are put to good use to buy those things we need. Check out our “Donate” tab on this site for a sample Christmas card as a way to enhance your holiday giving. 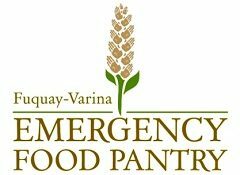 All donations go toward food and staples for our clients, or for maintenance of the food pantry facilities. None of our board or our volunteers receive a salary.